Properties in Newquay Station average 4.6 out of 5 stars. Property 54: Lovely barn, tranquil location! Self catering barn conversion boasting luxury and character throughout. 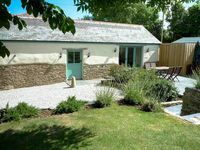 Property 70: Self catering barn conversion boasting luxury and character throughout. We spent a most enjoyable time in the very spacious Parc an Bounder. 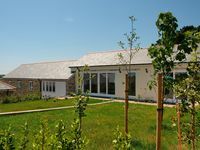 The barn conversion has been done to a high standard with tasteful decoration, and a good degree of luxury. As everything was new it was very special. We know the area well, so we were able to enjoy some of our favourite walks and visit places we know. We found the bed very hard and unforgiving, but our friends were blissfully comfortable. Maybe a mattress topper would be a useful option to have available. The fridge is very small for a family of four for a week. A tall upright fridge would be a very suitable addition.